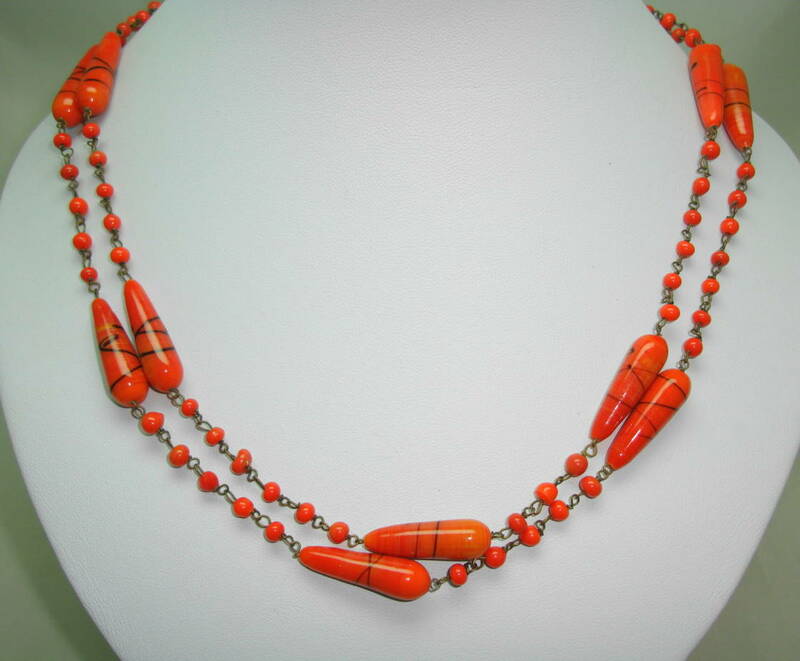 We are pleased to offer this fabulous vintage 30s Art Deco necklace. 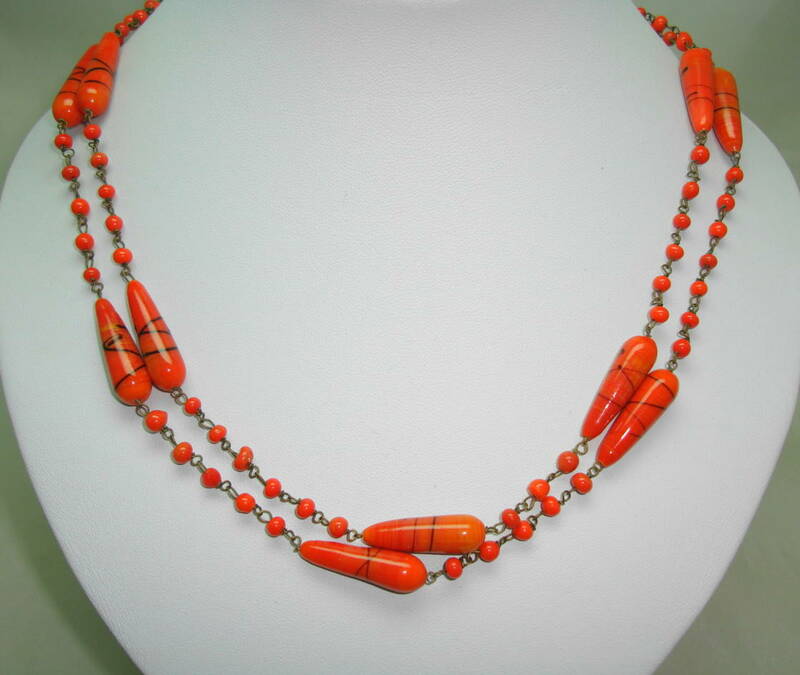 This is gorgeous beautiful Art Deco dated necklace which is made from orange end of the day Venetian glass beads. 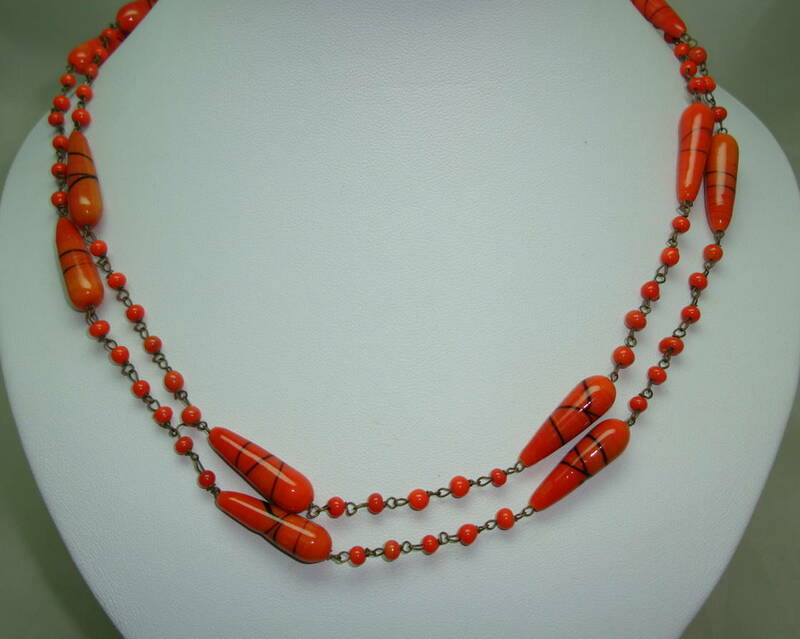 The beads are individually wire linked with fine wire. 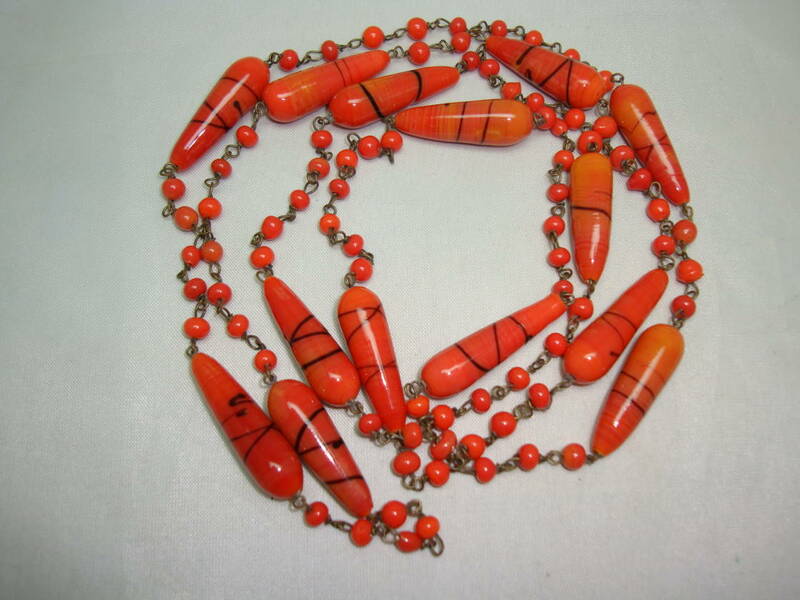 As you can see from the photos, the necklace is in excellent vintage condition, the beads are connected with metal links and measures 39 inches so you can easily wrap around twice. 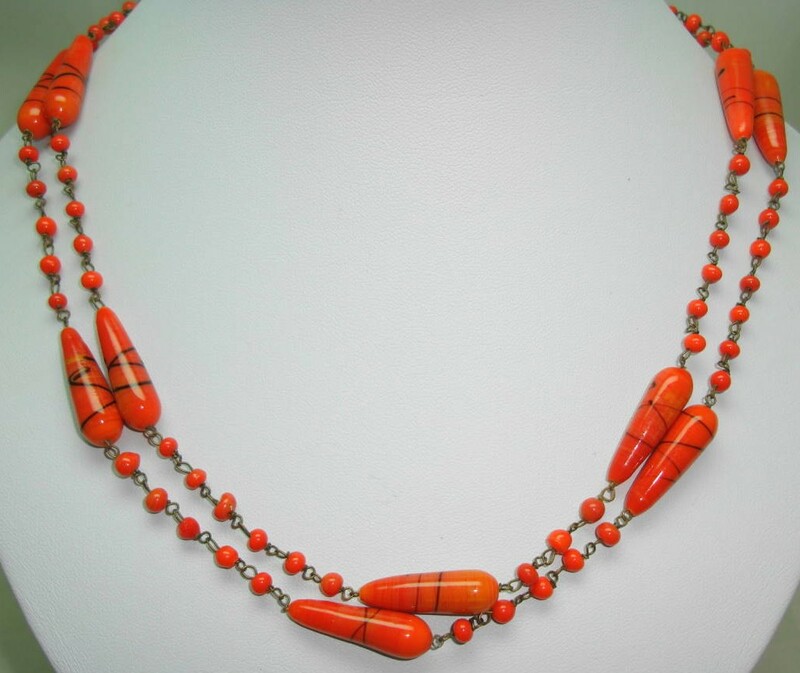 This really is a stunning Art Deco necklace which looks super on.